Having been around since 1925, Rheem did not initially begin with HVAC products, but instead produced steel drums. In 1930, they began marketing water heaters and boilers. They are passionate about their sustainability project that focuses on eliminating waste and reducing greenhouse gas emissions. At the Furnace Price Guide Website, we gather consumer information as well as reach out to industry professionals to compile timely information on the cost of Rheem furnaces. We have provided Rheem electric and gas furnace average pricing below. In addition, we have provided other resources where you can other information about Rheem furnaces and other products they produce. When purchasing a new gas furnace, it is always important to read reviews and see what others have to say since a furnace is a big investment. Have you recently purchased a Rheem furnace? Please take time to provide us information about your installation and how much you paid. It helps us help other consumers make their decision! Rheem Furnace Price Tables have been updated to the most current 2019 Rheem Furnace Prices. To provide you with a median price estimate we started with the baseline pricing for a Rheem furnace. In the examples below, we have used an 80k BTU furnace that includes a 3 ton 1200 cfm fan blower. A unit of this type is most commonly used and installed in homes around 1500-2100 sq feet. Since most consumers will also have an air conditioning unit installed at the same time, we included cost comparisons below that include central air and furnace installed. Below we have provided some helpful links so you can gain more information about Rheem, their equipment selection as well as coupons, discounts and rebate information. 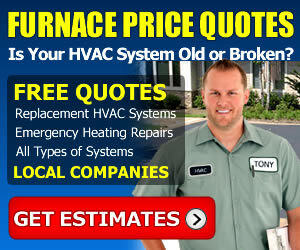 If you need a new gas furnace, we have also included a link where you you can get multiple quotes from companies that are qualified to install your HVAC system and provide services in your area. If you decide to submit your installation, you have our promise that names and other identifying information will never be used in our price comparison charts. All we collect is your location, details of the service you were provided and the price you paid for your Rheem furnace.